As I told you, some of my French family was visiting this month. And, to enjoy, indulge, celebrate, I did drink more wine than usual, eat more bread than usual. I had fun! However, now, my body feels a little off. I am now trying to get back on track… Not easy! I miss my sugar fix after lunch, I did indulged AGAIN yesterday, you’ll see on Instagram. On another note, our mini garden that we did for Food revolution has been a half success: We got a few peas, not that many. The kids loved it. The carrots… well, they got taken over by the cucumbers. Carrots are out the picture now, but the cucumbers are numerous to the joy of the kids. BONUS! 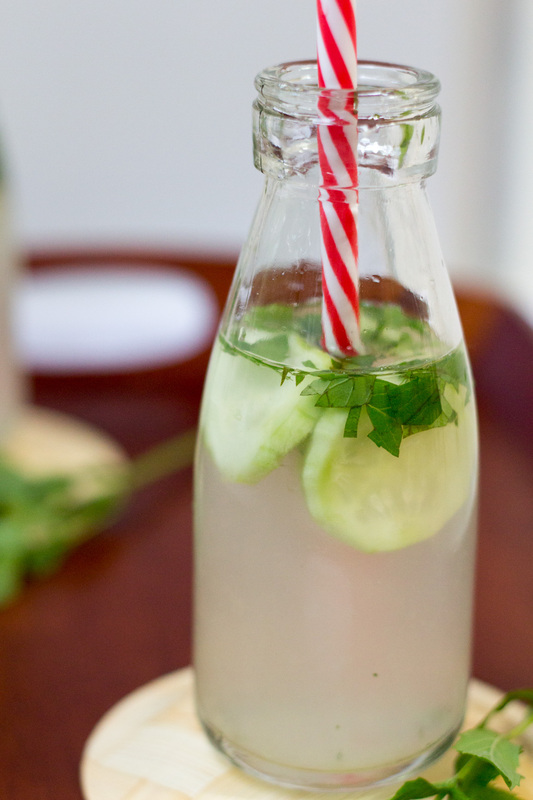 Not only it is quenching your thirst, it tastes good and it is good for you! 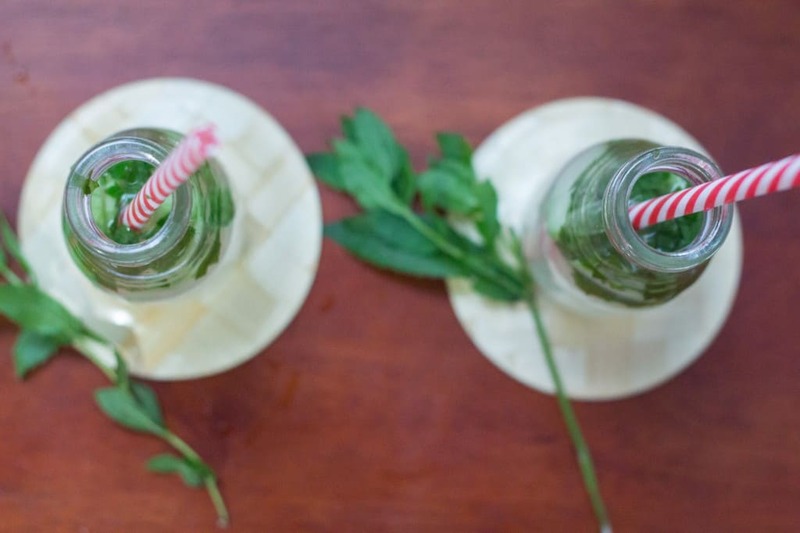 – MINT is good for your digestive system, it relaxes it. – LIME stimulates and helps to regulate your digestive track. – CUCUMBER has antioxidant and anti-inflammatory properties. This was really interesting reading on those 3 ingredients and all the good it brings to you! I am really interested into looking more into the power food to boost our family immune system before the cold arrives. And you, what do you do to stay healthy and keep a body in great shape? Tell me, I want to know more and put into place new habits we may not have. Cheers to your healthy you for back to school! Or back to work! - In a pitcher, put all the ingredients, stir well. - Put in the fridge for 2 to 4 hours. Thank you Dana for stopping by! 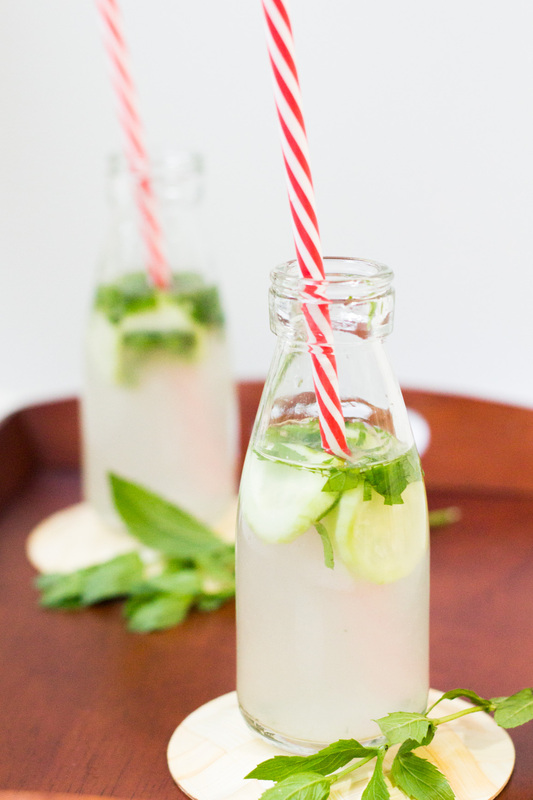 Cucumber, mint and lime. Sounds refreshing. Pinning this. This is the year of the cucumber for me, too. I have soooo many ripening on the vines. Mmm … this sounds absolutely delicious! I love all of those flavours. Perfect for a hot day. As for exercising, hubby and I have just got into going for a walk morning and evening. It makes me feel like I’m doing ‘something’ to stay healthy! Thanks Helen, Australian winter is almost over, you’ll be able to enjoy some of those 🙂 lucky you! So glad to be a part of FBC with you!! xo! Thank you Kristy, so glad to discover great blogs thanks to FBC! I am obsessed with this water this days, drinking it everyday! I’d love a cold glass of this right now!! Is it super hot in Boston Bianca? Thanks Sarah for stopping by!